I created these cards for my daughters when they were ten and eight. My oldest was struggling with anxiety at bedtime and cried every morning when I woke her up for school, desperately searching for some reason I ought to let her stay home. I hated to see her start and end every day like that and, honestly, it was wearing on me, too. 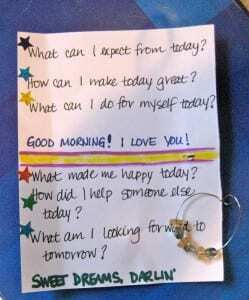 After thinking about ways she could re-frame her day to inject some positive energy, I came up with this system. 1. What can I expect from today? 2. What can I do to make today great? 3. What can I do for myself today? The goal of the first question is to get some idea of what the day holds (a spelling test, a visit from Gram, school and then basketball practice, etc.). The second question offers them an opportunity to understand that they have the power to make it a good day, and the third helps to ensure that there is something they can look forward to that incorporates self-care. 1. What made me happy today? 2. How did I help someone else today? 3. What am I looking forward to tomorrow? At the end of the day, I want them to look back and focus on the parts that they enjoyed, the places where they chose to make a difference for someone else, and have a compelling reason to get out of bed in the morning. I started out by sitting with them as they asked and answered each question, gently guiding positive responses, and gradually weaned them off of having me there. My oldest was happy to do it on her own, realizing that sometimes she wanted to keep her answers private, and my youngest prefers to have an audience. I designed the rings with their favorite colors and my youngest, who is a very tactile kid, really enjoys sliding them back and forth as she goes through the exercise. My other daughter, who is the kind of person that loves little treasures, slept for a year with the ring underneath her pillow as a talisman. 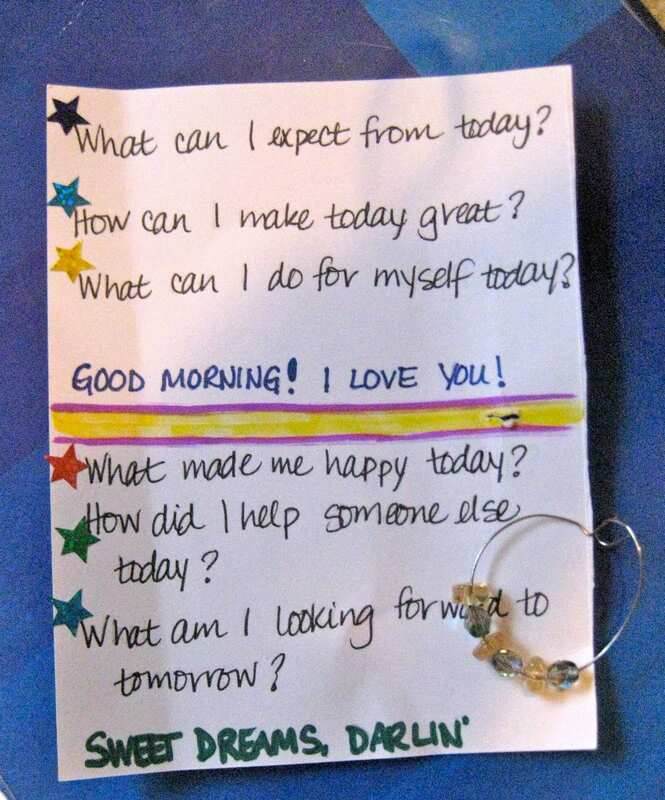 While I didn’t make myself a ring, I have found the simple practice of asking myself these questions to bookend my day is a powerful reminder of where to place my energy and how to ground myself every morning and every evening in what is most important to me. I love this idea, for everyone! 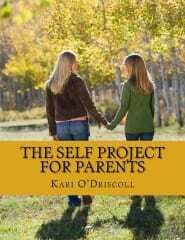 Looking forward to many more great ideas and posts as we head into this exciting world of parenting.